Forget about “medical marijuana.” Isn’t it time to legalize heroin in the United States? Recreational cocaine? Ecstasy? LSD? How about the whole nefarious basketful of so-called ‘harder’ drugs? 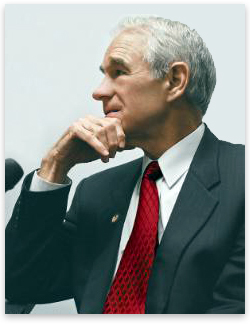 Yes, it is, says Dr. Ron Paul, a fourteen-term libertarian congressman and obstetrician from the state of Texas. It’s a view shared by virtually none of his Republican colleagues, nor, for that matter, very many Democrats. Nor really anyone in the “mainstream” of American politics. But in this post, I’ll argue that he’s right.